With all the changes Facebook has made this year, it's only natural that hotel business pages will change their appearance, too. Today's Facebook brand profile pages now include booking engines, photo timelines and video capabilities that, if created correctly, can allow fans to feel as if they're part of the hotel without actually being on property. Obviously, the purpose of optimizing these Facebook pages is to lure guests to the actual property, but there are other ways to engage besides just fancy photos and a savvy booking engine. Thanks to constant engagement, Facebook is fast becoming the new face of the hotel concierge. Your hotel guests frequent the concierge desk during their stay looking for advice and opinion on where to go, what to do and what to see and eat in a particular destination. As more fans become a permanent state of your hotel's Facebook page, why not make the concierge desk a virtual feature to help guests plan their activities prior to arrival. Listen and learn: Responding to questions, comments and complaints from your Facebook fans on your hotel's wall is common sense, but are you posting as much as you're listening? If your wall is filled with your posts and chatter, take a step back and look at how often your fans are actually posting directly to your wall. 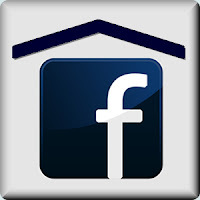 Let your guests be heard via Facebook. You can set up a separate page within your wall for guest contributions or comments, and still keep your main wall focused on the brand. The point is to listen to what your fans and saying, and learn from their posts. By the time they arrive at your hotel, the concierge and hotel staff will have a good idea of what your guest is expecting and can set up the room or potential itineraries to serve as a nice welcome. Provide Relevant Travel Information: MediaPost recommends that your Facebook page has enough information available to "satisfy visitors on the provided Info, Photos, and Events tabs" on your fan page. Building out applications like booking engines, itineraries and suggestions for where to eat and what to see in a particular destination help guests arrange their trip prior to arrival. "Anticipate what first-time visitors would want to know and deliver," writes MediaPost. The Booking Engine: Adding the booking engine to the Facebook page has been a touchy topic for hotels this year. Most hotels would prefer the traffic go through their websites or travel agents, but as more people turn to Facebook and Twitter for travel ideas, creating a booking engine direct on your hotel's Facebook page can turn a potential guest into an instant one. The purpose is convenience. Why move from site to site when you book on one page? Focus on Fans: Let your fans do the talking! Create a space for your fans to post photos, share likes (and dislikes) and post praise about their stay. Your Facebook manage will need to stay on top of this - particularly for those unsatisfied guests - but by showing fans that you're promoting their content shows you're dedicated to engaging with them throughout their travel experience.